Your image always in the front row. 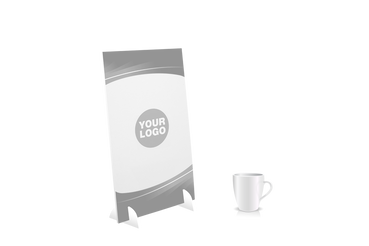 If you want to promote your products or ideas and most of all win the comparison with your competitors with short and effective messages, counter and window posters are the best choice. Behind a window or on a counter, alone or next to your products, they can never be ignored: showcase your image and be in the front row! Cunter Displays to order a sign in which to insert your leaflets. Don't hesitate, trust our expertise in communication and printing. On Print24 you can configure, order and print online your counter posters or window posters with just a few clicks. Choose the size, paper, colours and finishes. Send us your graphic file and voilà! 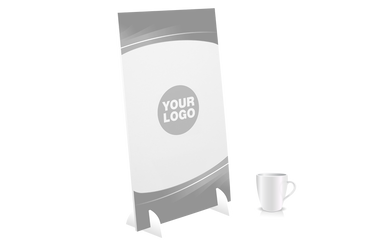 We'll take care of printing your counter posters and will deliver them at your address. 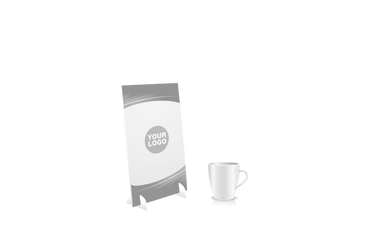 We guarantee using the best materials, the highest printing quality and on-time deliveries. ♦ Shops, restaurants, cafés, commercial activities, gyms, clothing, furnishing, etc. 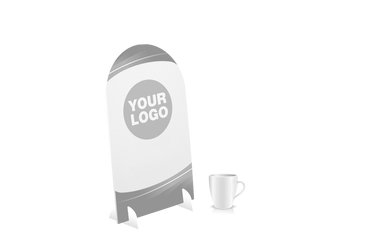 ♦ Suited to furnish at a glance the necessary informations about your products. 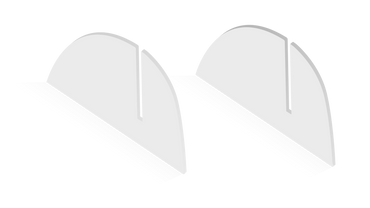 ♦ Counter sign in A5, A4, A3 or shaped. ♦ White forex 3mm or 5mm thick. Single or double sided colour printing. ♦ Basse with 2 feet.